Do you want to WOW your students? 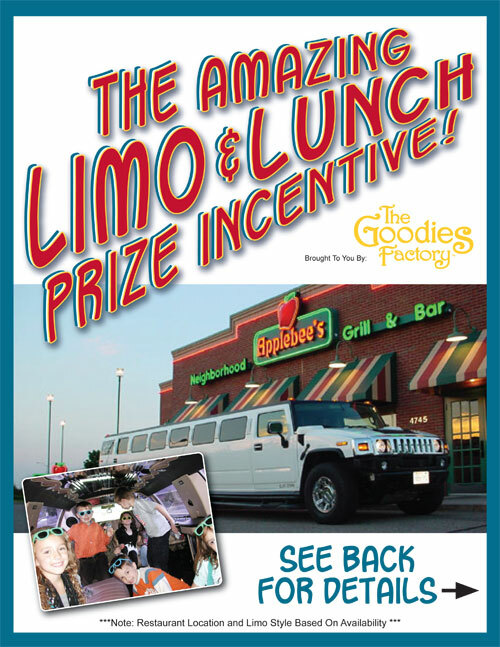 If so, choose our Limo/Lunch Grand Prize package (minimums apply). What could be more “FUN” than having a limousine pull up to the school to take the winning students and the principal out for lunch at a neighboring restaurant. We provide 8-18 passenger limos (based on availability in your area), 1 hour party time and a lunch budget for the entire group. Top sellers and/or a drawing for the seats is the perfect way to motivate the students to strive for that amazing trip to lunch. This is the perfect program to motivate the upper elementary students…they would love to travel like a star in a luxury limousine.